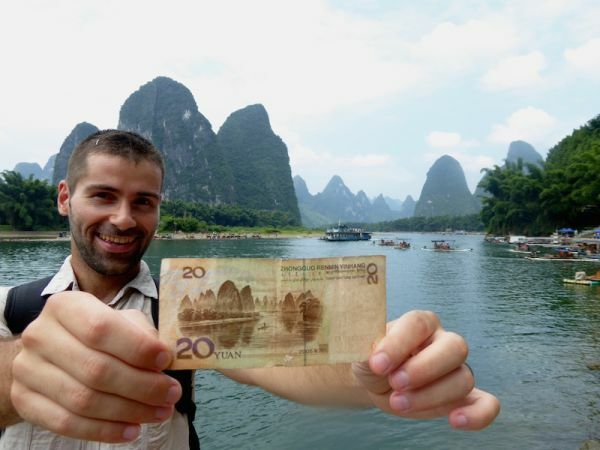 Yangshuo is a gorgeous town in south China, in the tropical Guangxi province. 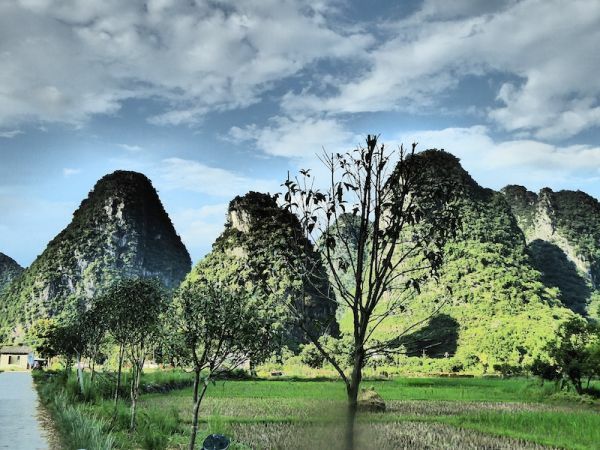 It's famous for its stunning scenery “karst” limestone hill formations. There are over 70,000 karsts, which are unique to this part of China. Alongside it runs the River Li and other natural wonders, which makes it the ideal place to visit by bike. After shopping around at several shops, we rented our bikes from Bike Asia who had the cleanest and most modern looking bikes in the area. 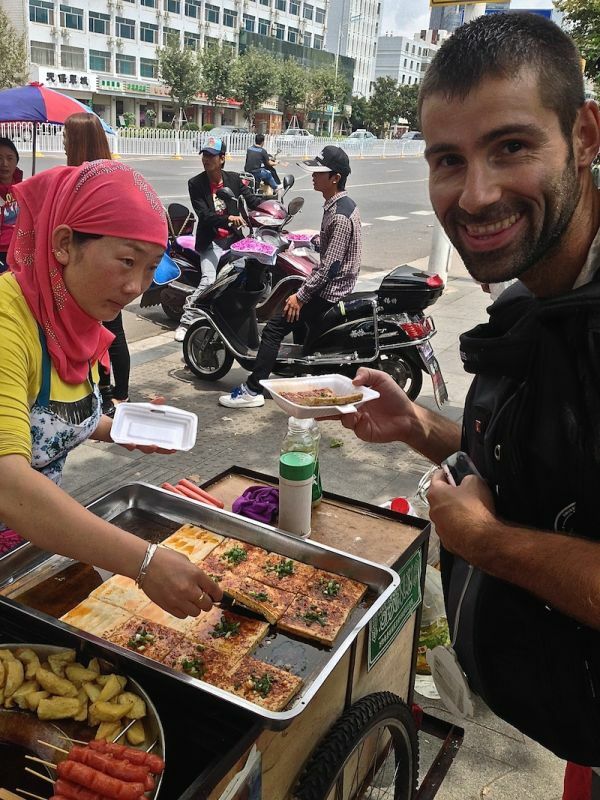 They charge 70 yuan (around $10) for a day's bike rental. Bike Asia also gave us a detailed map and invaluable practical advice about which places to visit and the best paths to use. 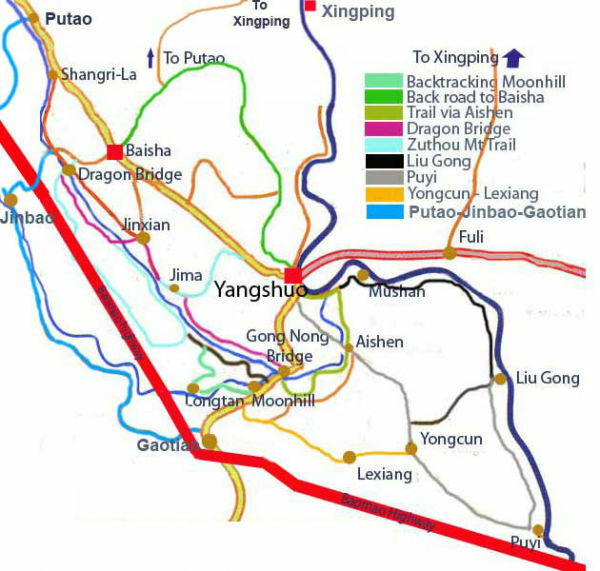 We found some helpful online information, especially for the route that takes you to Baisha village and on to Yulong Bridge, which runs perpendicular to the Yulong River the surrounding area. 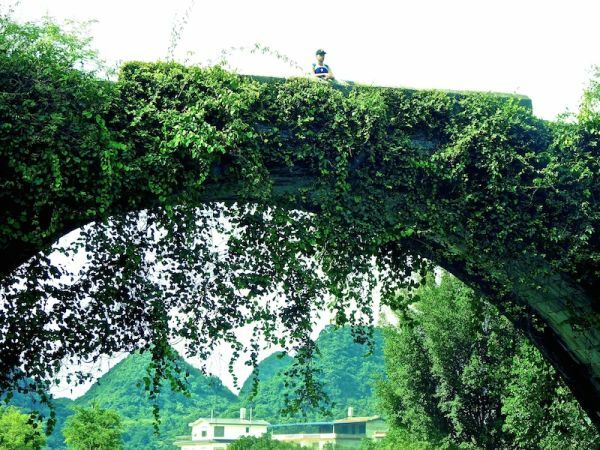 The pretty Yulong “Dragon's” Bridge is the half way point of cycling route described above. It's the ideal spot for photos and to whip out the speedos for a refreshing dip. 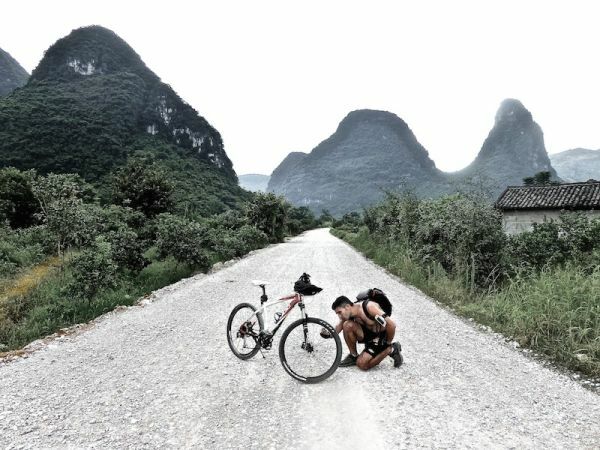 After cycling in Yangshuo we said a fond farewell and boarded the train to venture into China's Yunnan province where we trekked the Tiger Leaping Gorge. Oh, wow! I am so jealous of your adventure tale right now! So do tell me, would you know of any guided bike tours which I could be part of? Hi Shayne thanks for your comment. 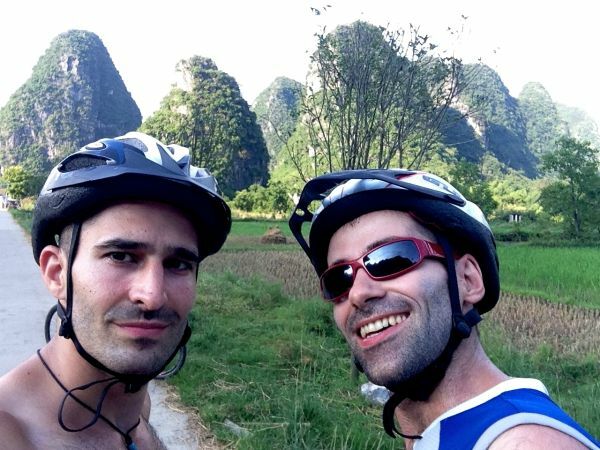 We recall the Yangshuo cycling school we used had guided tours. love your blog and the posts as they evolve as you travel along! 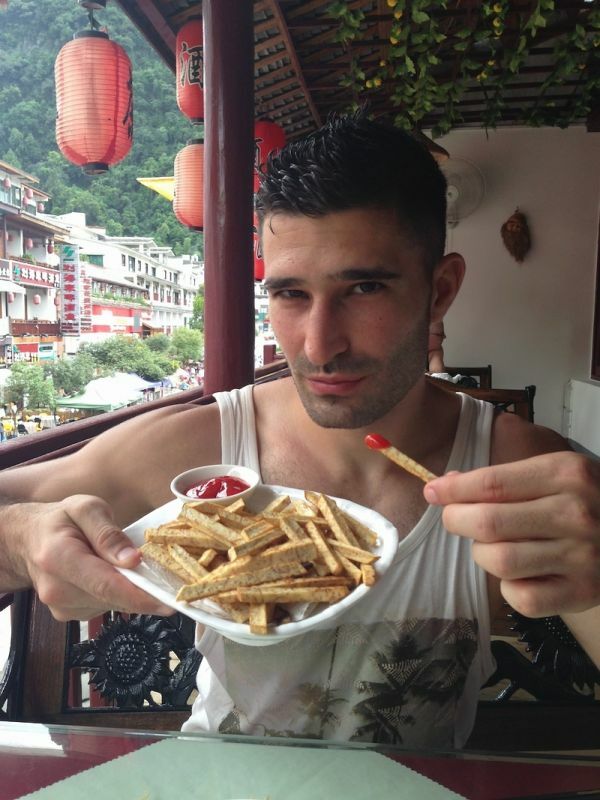 you really are doing the Asia part of what I did in the year 2000 but in the proper way! seeing many more of the things that I wish to see as well! hopefully life will give me a chance again to fulfill some of those dreams too!